Mick Fleetwood On Fleetwood Mac: 'It Would Make A Great Play' Stream the band's new EP, and hear the drummer and founding member's thoughts on longevity, epitaphs and iTunes. John McVie, Mick Fleetwood, Lindsey Buckingham and Stevie Nicks have returned with their first new music as Fleetwood Mac in a decade. Not long ago, the idea of Fleetwood Mac ever touring again seemed far-fetched at best. But as of this spring, not only is the band back on the road — according to drummer and founder Mick Fleetwood, they're having an easier time filling seats than in the past. "We seem to have a band of angels up there organizing what we do down here. ... I don't know; maybe people think we're never gonna do this again, or we're all gonna drop dead or something," Fleetwood says. "But on a positive note, I think it's indicative of Fleetwood Mac's extremely interesting story — that just when you think it's sort of going into a ditch, it comes out the other side." 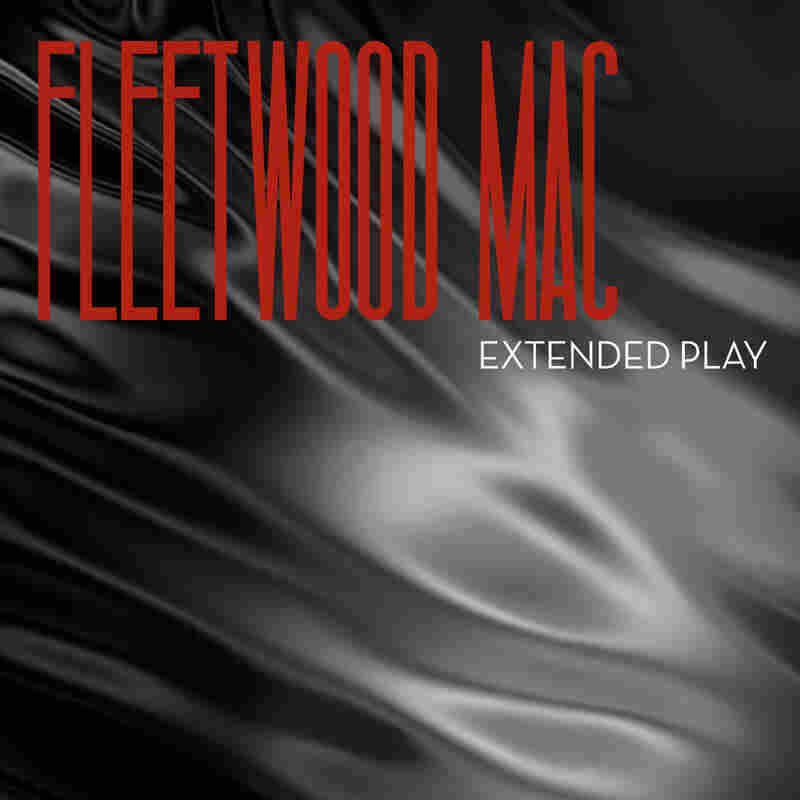 Listen to Extended Play in full for a limited time. You can purchase the music now at iTunes. This week, Fleetwood Mac unveiled another surprise: a four-song EP of brand-new music, released digitally via iTunes and simply called Extended Play. 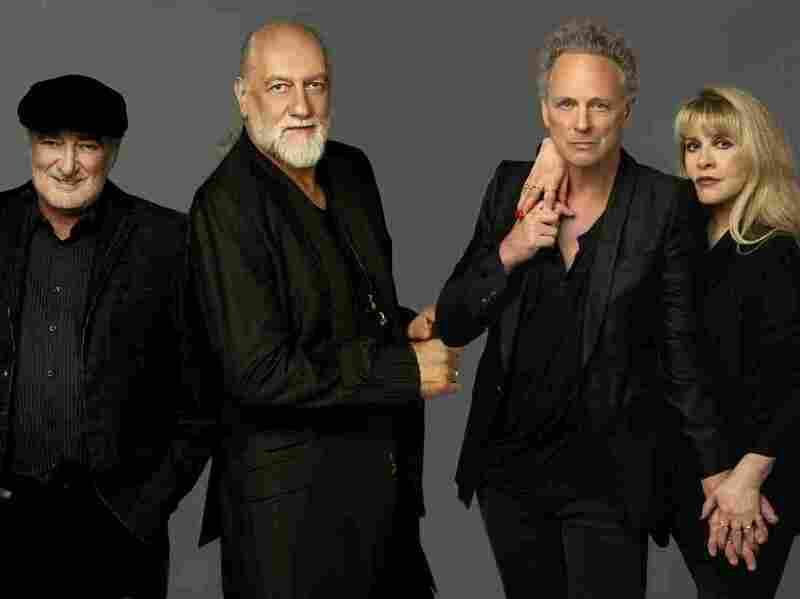 Mick Fleetwood spoke with NPR's David Greene about the band's uncommon staying power. Hear the radio version on Morning Edition tomorrow (the audio will then be archived at the link on this page). There have been drugs; there have been relationship ups and downs in the band. Does that mean you almost have to come to the edge, and then kind of come back from the edge to keep doing what you're doing? Is that necessary? God knows I don't know whether it's necessary, but the fact is it happened. And without getting artsy-fartsy or therapeutic, the reality is you have to take responsibility — not only as a person within the group of people, but then you look at it as a collective, which is the band known as Fleetwood Mac. And we have. A lot of your fans, I think, see you still out there — after all the roller-coaster and the soap opera — and a lot of fans are like, "Wow. Fleetwood Mac, through all the changes, all the years, different faces — they're still here." Are you surprised that you're still here as well? [Laughing] Hmm ... no. I'm not. I think what I have to confess to is that I had nothing else to do apart from keep this band going. So I'm sort of not surprised. It sounds like you're almost a prisoner to the band and the idea. Well, that's an interesting phrase. And in truth, just as of late — the last few years, really — I've had to work at just not being this creature that almost gets obsessed: "It's gotta continue," and "What if ... ?" And I've truly done pretty good at letting go. And it's truly appropriate: We've done way too much, all of us, to be herded into my world of, "At all costs, Fleetwood Mac." So now, what you see is really pretty much a version of a bunch of people that happen to want to do something. And they haven't been coerced or crafted, or sold their soul to the company store. ... All of that stuff is gone. Which makes this, again, a really, really clear vision of what we're doing. And I can't think of any other band that I know that has gone through the arc of all of these [changes], even before Stevie and Lindsey. It would make a great play, and I hope one day that we somehow do that. And of course, you've played a role in the play. You've had the struggles that we all know about with drug addiction; there was a relationship with you and Stevie Nicks that a lot of people read about. Is there a song from Fleetwood Mac that you feel like kind of captures your role in the whole play? I'd say "The Chain." [That song's message should] be written on my grave: "That's what he did. He half-killed himself keeping this bunch together." Are you playing that song out on the tour right now? Yeah. It's one of the songs, I think, that if we didn't play, we'd be lined up and shot. You told my colleague Scott Simon, about four years ago, that you actually realized that the audience wanted the old ones. You were actually happy to report that you had no new songs to play, because you wanted to spare your audience — let them enjoy the oldies. Well, that's true. People love to hear things that they tell their own stories to. Creative stuff that comes from the artist very quickly becomes the property, as it should, [of the audience] — to be reinterpreted and create a backdrop for parts of their lives. Have you seen a change in the audience over the years? Absolutely. There's retrospection involved, I'm sure. ... The lovely thing is, we truly are blessed with huge amounts of young people that are totally getting what we're doing. And that's why these new songs are hugely important. Lindsey would be the main flag-waver as to being really excited about the thought that we're not treading water, and that we are creative. He's pushing for new material. Yeah, and I think that's his epitaph, or would be. Stevie's is a bit of everything, including the blessing of truly and naturally being just so ... well, talented for sure; we know that. But she has a magic mantle that is very profound, and it comes only once in a while to certain performers, and she is one of them for sure. That's her epitaph. Yours is, "Let's keep the band together," and Lindsey's is, "Let's continue being creative." We've all had functions in Fleetwood Mac. And because of that, I think, it's not a stretch to [say] that's probably why we've survived all this. One of the songs on the new EP, "Miss Fantasy," strikes me as something that could have been on Rumours in 1977; it's very much your sound from the '70s. Whatever that is [laughs]. I think it's fair to say that that album has become tonally timeless. It feels like you're not trying to break into some new sound in this new day. You're carrying on a tradition that you feel good about. It's the band. The Stones did their Beatle thing, and they go, "Eh, we're The Rolling Stones. Let's just leave this alone." That's who they are, so whatever they do, you know it's them — and they're comfortable with it, and they're really good at it. ... So I take that as a huge compliment, what you're saying. Stevie Nicks has said that she hasn't spent much time on the Internet, doesn't have a laptop. She's sort of said, "I guess we need to put songs out on this thing called iTunes." You don't seem like a band that's embracing all sorts of new technologies. You seem like you're kind of doing it the old way. We know that this is really something we've never done — put out something on iTunes. And we're going, "Well, we don't have a completed album." And maybe we'll find out that people really, actually, seriously want us to do that. And if not, then this has been fun. You said that you thought a lot of people might be coming out to your concerts right now because they're worried this might be the end; they want to say goodbye. Is that a possibility? No, I think it's incredibly vibrant, the lifeblood of Fleetwood Mac. So you can pull that one out of your psyche. This is not a farewell tour. Not even close. No. We're just bowled over that something is showing itself in this funny, mysterious way — hence me talking about this bunch of angels up there, organizing what we do. I'm thinking they're very busy planning something into the future for Fleetwood Mac.